Gazans require Israeli permits to leave the enclave and travel to Jerusalem or the West Bank for treatment which the Palestinian Authority, the internationally recognized Palestinian government, pays for. High-quality medical care for conditions such as cancer is not possible in Gaza, largely due to a shortage of facilities and Israel's restrictions on imports of key medical technology it argues could be seized by Hamas for military purposes. 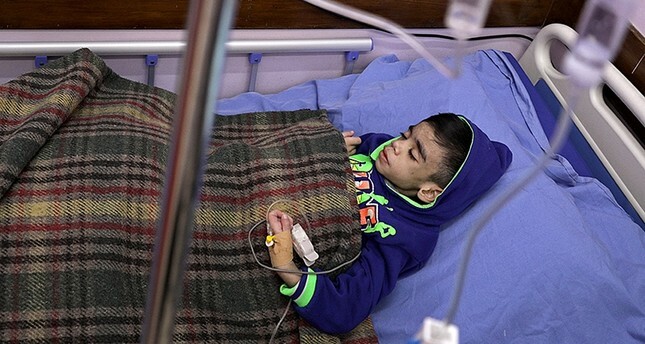 "There is a worrying decline in the approval rate for patients to exit Gaza, with 2017 the lowest rate since WHO began monitoring this in 2008," said Gerald Rockenschaub, head of WHO offices in the Palestinian territories. Omar Shakir, Israel-Palestine head for HRW, said they had seen "wider and wider" use of security justification to reject or delay permits for Palestinians. "It is not based on security but based on a political strategy to isolate Hamas that uses the people of Gaza as collateral in that calculus," he told AFP. "We repeated the same process three times, but her condition deteriorated and she died 10 days after the date of the (final) appointment," her father Ghaleb told AFP. "Hamas operates every day to take advantage of the civilian measures that the state of Israel promotes," said a statement from COGAT, the Israeli defense ministry body responsible for coordination of such permits. "We submitted three new requests to cross ... and return to hospital and complete her series of treatments, but we didn't get any response."